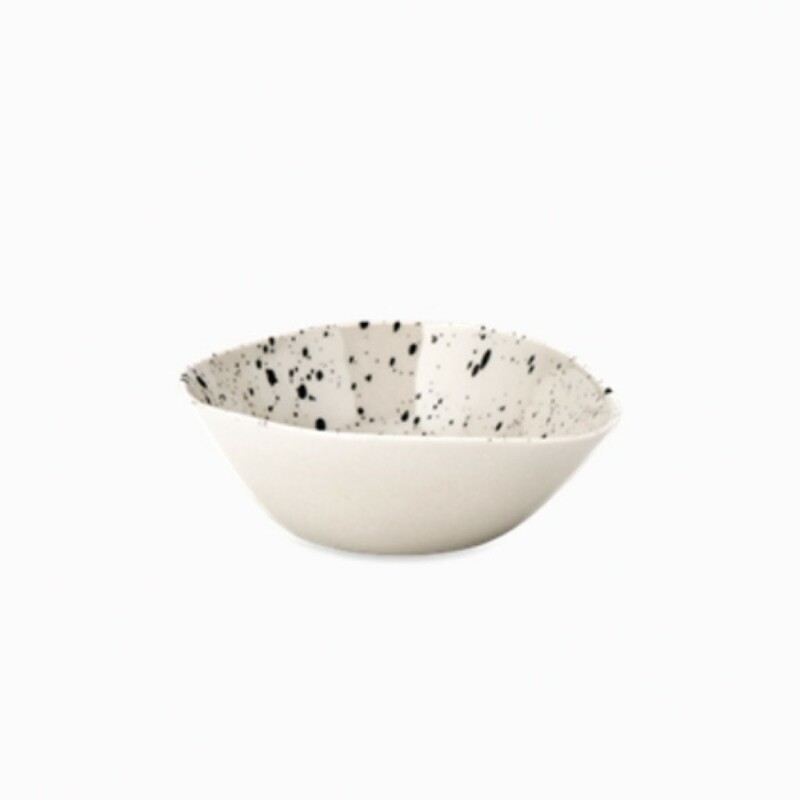 Our Ama dipping bowls are the perfect size for holding vinegars and oils. The elegant oval design and striking black splatter finish add to their charm. 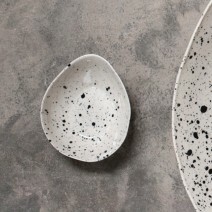 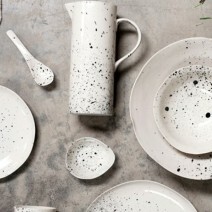 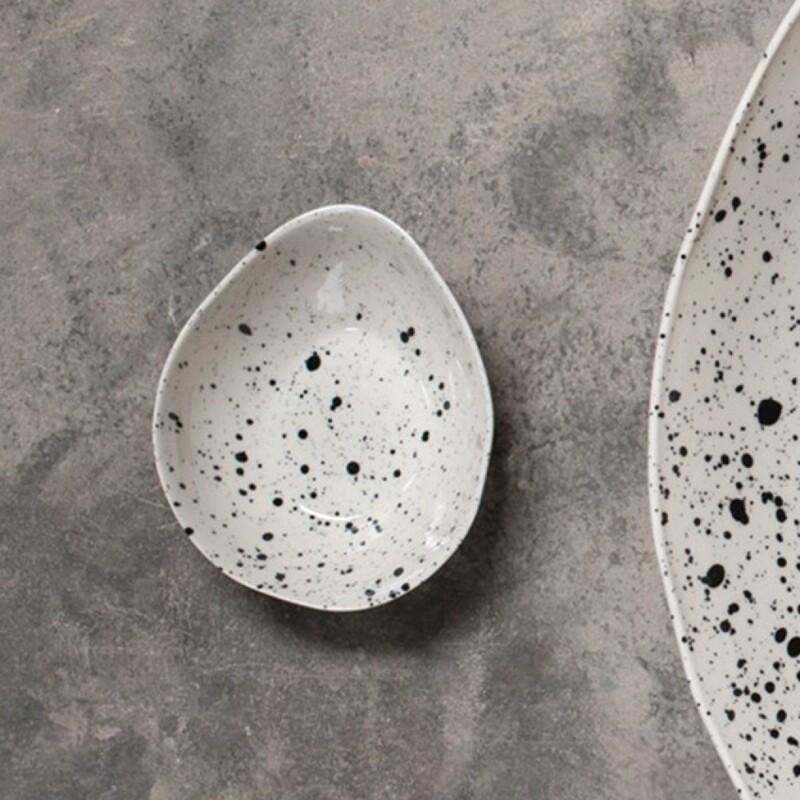 Each one is handmade from stoneware using traditional techniques.